In grade school and later in high school I was a HUGE fan of the RPG games. Especially games like Dragon Quest and the Final Fantasy Series. I used to play RPG games on Nintendo, Super Nintendo, and later Playstation and XBOX. That’s why I love featuring RPG Kickstater campaigns on the blog. There is a new RPG Kickstater called Dungeon Dreams with some of the retro touches I saw in my youth. Dungeon Dreams is a roguelike-style romance JRPG. 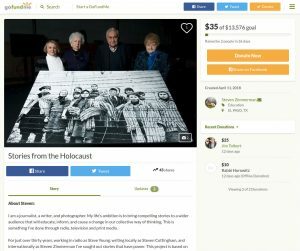 The current goal of this campaign is $2,215, so at about 50% funded they need your help. 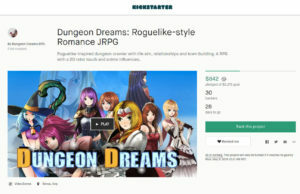 Dungeon Dreams is designed to be like a roguelike-style romance Japanese Role Playing Game. What makes this game different from many others is your choices in the game matter, your choices change the outcome of the game. Dungeon Dreams features a flexible story system, randomly generated dungeon, town building, relationship/dating sim, and more. 65+ titled sub-quests, 15 recruitable party members + 10 temporary guests/summons, 5 romance options (including marriage), 35+ classes, 12+ minigames, 45 pieces of furniture, 8+ building opportunities, 250+ skills to learn, 500+ pieces of equipment, and more being added soon. I think one of the key features of the most successful RPG games is the artwork. That’s one of the reason I enjoyed the Final Fantasy games so much. 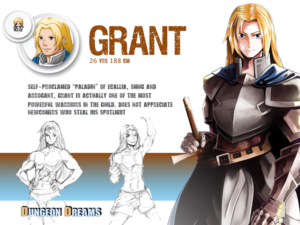 The Dungeon Dreams designers you can tell spent countless hours designing the characters. This is just a sample of the quality of characters/artwork you’ll see in the game. Yes, you’ll get several rewards for supporting this awesome Kickstater. 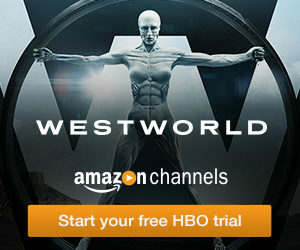 Level one starts at $6 USD and you’ll get a huge thanks and name in credits. If nothing else, I’d do this one, how cool would it be to see your name in the video game credits for only $6? 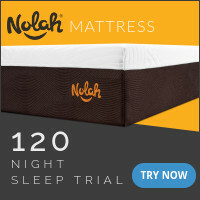 $18 is my recommended level of support. With $18 you’ll get a digital copy of the game and your name in the credits. The reward level goes all the way up to $123, it includes original party member, game copy, artbook, 4 HD wallpapers, soundtrack, and name in credits. If you can afford this one I’d say go for the top level. A big portion of Dungeon Dreams has already been created and is being tested by a small group of dedicated beta testers, but they need your help in order to fully complete this video game. Consider supporting this RPG with 2D retro touches and anime influences today. If you are like me you travel frequently for business on lower cost airlines, skipping the business class. The issue you’re probably running into is tiny, cramped airplane seats. Airlines are uncomfortable enough, you don’t want your clothes to make the experience of flying even worse. That’s where the idea of “Travel Stretch T-Shirts” comes in. 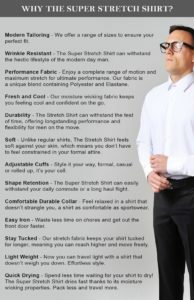 These shirts features luxury performance fabrics that will fit perfectly on any business traveling man. It’s available now on Kickstarter. 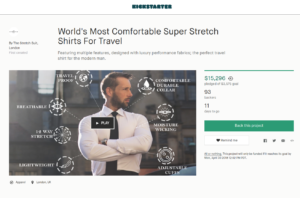 The clothing brand behind the Kickstarter shirt is The Stretch Suit, a British fashion brand on a mission to develop the world’s most comfortable clothes, to bridge the gap between work, travel, and play. I like to think of them as yoga pants for men. Why These Shirts? What’s Wrong With My Old Travel Shirt? What’s wrong with cotton dress up shirts is that they absorb moisture (Sweat). Again, if you are like me, walking miles from your car, through the airport, through security, to your plane, eating junk airport food, feeling uncomfortable and cramped in your airline seat you sweat. So why not solve that issue with a new type of shirt designed for performance and comfort with its lightweight moisture wicking fabric used in footballer’s and tennis players shirts. Like the trend with yoga pants for women, they caught on because people tried them, they were so comfortable and dare I say fashionable that women vowed to never go back to traditional clothing. The same is true for business dress travel attire. Just try one of these shirts and the difference should be so striking that men everywhere won’t want to go back to traditional cotton. More on why this shirt is superior to old fashion. So you are interested in getting this shirt, but want to know first if there are rewards first. 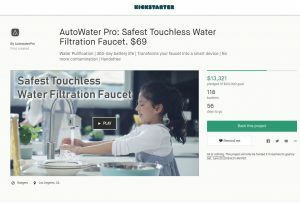 Yes, I can say there are several reward levels to this $3,575 Kickstater Campaign (Already met goal). $1.43 USD gets you a huge thank you plus your name on their mailing list. The recommended level CashSherpa vouches for is the $127 level and that gets you all previous plus a Stretch Shirt. I say if you do in fact travel and wear a dress shirt/business suit while traveling try out this article of clothing and see what you think. If you just want an extra shirt in your closet I’d say pass. These shirts are for the serious traveler or active businessman. 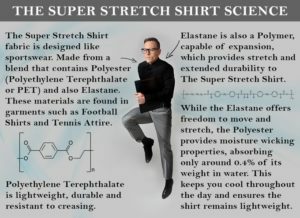 The demanding, fast-paced lifestyle we live in requires men to be adaptable, flexible and enduring; just like The Super Stretch Shirt. Consider contributing to the Super Stretch Shirt Kickstater campaign. I’m a huge supporter of the personal growth and development community. That’s why I sharing this Patreon with you today. Don Smith has created a Personal Development Growth Channel and needs your support on Patreon in order for it to thrive and grow. Founded in 2015 their mission is to help our personal and professional lives. Don Smith’s Personal Development Growth Channel since 2015 has grown to over 20,000 followers scattered throughout various media channels including Facebook, Twitter, Reddit, Triberr, and direct email subscribers. Don Smith’s organization produces personal development articles designed to stretch and grow you, highlight and develop courses, share book recommendations and life stories, and provide discounts and networking opportunities for their members. Most importantly they want to improve your life! Don Smith is on Patreon to allow their company to bring you more valuable content and continue changing lives. 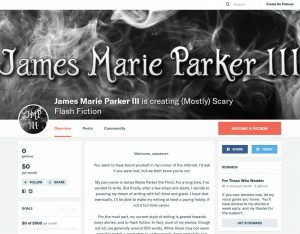 The more Patrons that give to this Patreon the less they will rely on ads. When they reach $500 per month, they will upgrade to premium web hosting services which means that things will load faster for all of their members and they will be able to start adding more features to the main site. Yes, reward levels go from $1 to $50. $1 gets you a HUGE Thanks! My personal favorite is the $10 level which gives you a thanks, listing in the directory, access to everything they do, and a shout out on Twitter. $50 per month gets you a thanks, directory listing, access to everything, listing on sponsor page, sponsor plaque, snail mail thank you letter, and a shout out on Twitter. 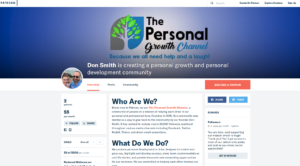 Help take Personal Development Growth Channel to the next level consider supporting Don Smith’s Patreon campaign today.